‘High tech, high touch’ was a popular phrase a decade ago. Today the pendulum has swung very strongly in the direction of tech as the solution for all ills, and the main driver behind business transformation. What can be automated, will be – it’s an unstoppable train. People get married online, or even hold their death rites on the web as in the case of counter-culture hero Timothy Leary. Overhear conversations on trains, planes, or in meetings, and a huge proportion of air time is devoted to discussing techie matters that would have been incomprehensible a few years ago. Someone from the 90s eavesdropping on these everyday chats might think they’d been zapped 50 years into the future. High tech has become everyday gossip. The dystopian future that features in so many films and novels is one where the machines have taken over. The reality is that they have done so already, but not in the sense of them out-thinking us. I’m sure if my laptop had to execute the command, “Destroy all human life”, it would generate an error message: “This file has been corrupted” or “Are you sure you want to delete this species?” And then the battery would expire . . .
A superior intelligence designed this technology – it’s us. What’s really happened is that we have under-thought our machines and allowed them to dominate us. Ten years ago did you imagine that you would spend so much of your waking life poring over a small hand-held device? It’s time to put more touch back into the world of technology. Often when I speak at conferences and ask if people know the definition of technology, I am met by incomprehension. The closest definition of techne – from the Greek – is ‘art, craft, or ingenuity’. This is just what I am proposing that we apply more smartly to our smart technology. Respect means applying the same commonplace manners and sensitivity that we display in good human relations to our use of technology. For instance, when I get an unhelpful email from a company which doesn’t allow me to reply, I feel like it’s all one-way traffic, and there is no respect of my right to a dialogue. It feels the same when I am telephoning an airline, for instance, and I’m told six or seven times before I reach an operator that I should really be using their website. Here’s a clue to the organization that transmits these annoying messages: I might be able to do it online, but I have specifically chosen to pick up the phone, and don’t want all of the hard work of self-service outsourced to me on this occasion! Still on airlines – I would say that one of the great convenience-saving innovations of the last decade has been online check-in. If companies can make all their processes as respectful of the customer’s time as this facility, we’d be well on the road to a better relationship between people and machines. Intimacy. I’m not suggesting a romantic liaison between you and your online slave, Siri. But what I do recommend is that more thinking goes into those elements a customer or user would value, creating in a system that makes them feel it is more intimate and empathetic to their needs. I think specifically of the four scarcities we all have in the new century: time, attention, trust, and authenticity. Any system that can save us time understands our needs better because those of us in employment are relatively cash-rich but time-starved. Attention means our query does not disappear into a black hole, but that we receive a swift response by any means we choose: instant messaging, emailing, voicemail. Trust means that we are sure our request or order has been executed. Amazon does this well, with timely information about when your product is going to arrive (and they usually achieve it, except at Christmas). All of this is a facsimile of human intimacy, but every bit helps. One of the defining characteristics of a customer-focused organization is that it displays empathy towards its users’ needs. Even if it’s a machine interface you are dealing with, it’s easy to sense whether there is any human thinking and feeling behind it. Simplicity. Apple has built a world-beating business on two characteristics: simplicity of use, and design. I notice that some of my clients now even have VPs of Simplicity. In a time-pressured world it’s critical that you calibrate all of your systems in terms of this characteristic. How simple is it to place an order? How easy is it to navigate the product offering on your website? Obvious questions, but the blind spot is what’s simple for the tech-savvy is often not so for users. My hero of simplicity is the Belgian politician Vincent Van Quickenborne, who has simplified the process of registering a company in his country from a year to about three days. Business registrations have boomed. So appoint your own Czar of Simplification, and get him or her to validate every aspect of your technology, internal and external, by the touchstone of simplicity of use. I also rather like the company that produces an online questionnaire and softens its inevitable statements about intellectual property with the line “While we are not vengeful, we can be provoked.” A nice antidote to the financial adverts where a third or more of the page is filled with disclaimers. Now while none of these may evoke a belly laugh, they demonstrate the footprint of humanity in an otherwise stark and functional technical arena. I don’t want machines to tell me jokes, but I do like to know that the humans behind them are capable of one of the faculties they can never possess – a sense of the absurd and the ability to laugh. Individualization. The raison d’être of much technology is to iron out any individual variation. Partly because it feels neater that way, but even more importantly because it reduces costs. When your bank says they have moved your call centre to India to improve service levels, they are merely saying that it saves them money. So don’t ask for anything too individual, or it will disrupt their cost model. 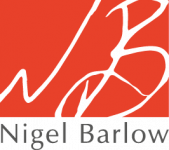 We are no longer excited when individuality is inserted in a mailing in the form of “Dear Mr Barlow”. We’re all aware that technology can do this easily, and mass-customization isn’t too thrilling for us. What will differentiate technology is its ability to read our needs, and above all, be flexible in at least appearing to acknowledge the uniqueness of our request. Lists of FAQs rarely achieve this: they may in theory look appealing because they claim to answer up to 80% of the questions a user will pose. However, how often do you find that yours is an IAQ – an Infrequently Asked Question? Eighty per cent of the time? I get the impression that most of these lists are compiled lazily, and with the express intention of stopping an organization dealing with an individual query. The answer may be simply to provide alternative channels for the user to dialogue with you. Some people want to flip effortlessly between online, telephone, or IM avenues of communication because they have something to say that they believe is unique and personal to them. How well do your systems allow this? A successful future is there for those who embrace both/and thinking. Both the slickest, easiest to use, and most intelligent technology and a parallel investment in thinking and feeling for the humans who have to use it. This should be easy to understand, but in my experience it doesn’t happen enough in practice. The human elements that need to be inserted more energetically into our burgeoning technology make the acronym RISHI. In Sanskrit, this means a ‘seer’. While none of us can ‘see’ exactly the next disruptive leap that technology will make, we can be prescient enough to know that it will only be value if it serves our human needs rather than feeding on itself.